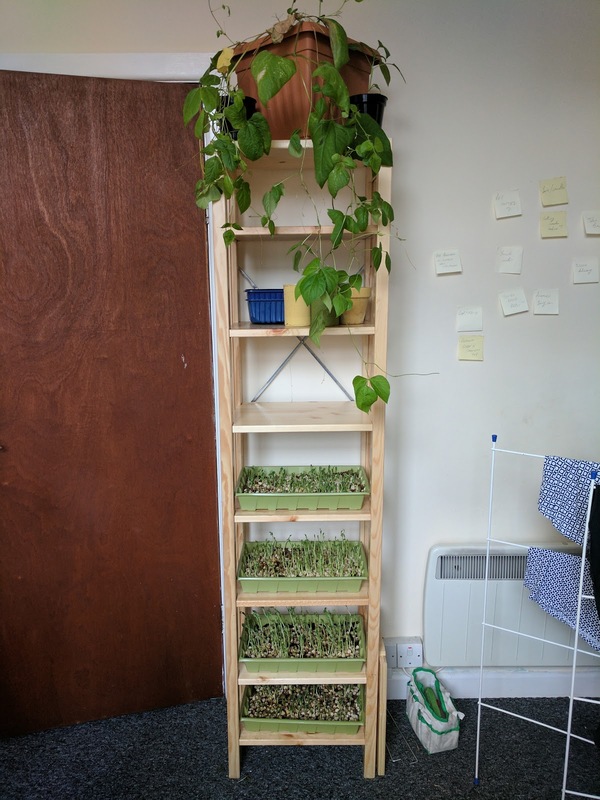 I ordered some new shelves at the weekend from Shelfstore, and they arrived today. They use rather an excessive amount of plastic in their packaging, but never mind about that just now, there's always room for it in the sofa. 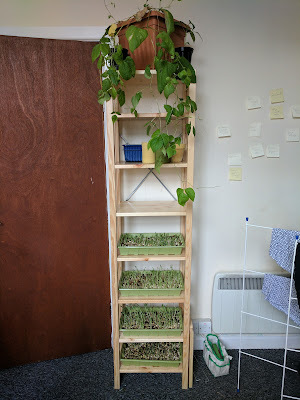 I assembled them immediately, and moved my trays of pea shoots from the bedroom onto the shelves with a song in my heart. Yields from the pea seeds haven't been quite as massive as I hoped, but I'm still a beginning and the whole learning experience is very, very satisfying. 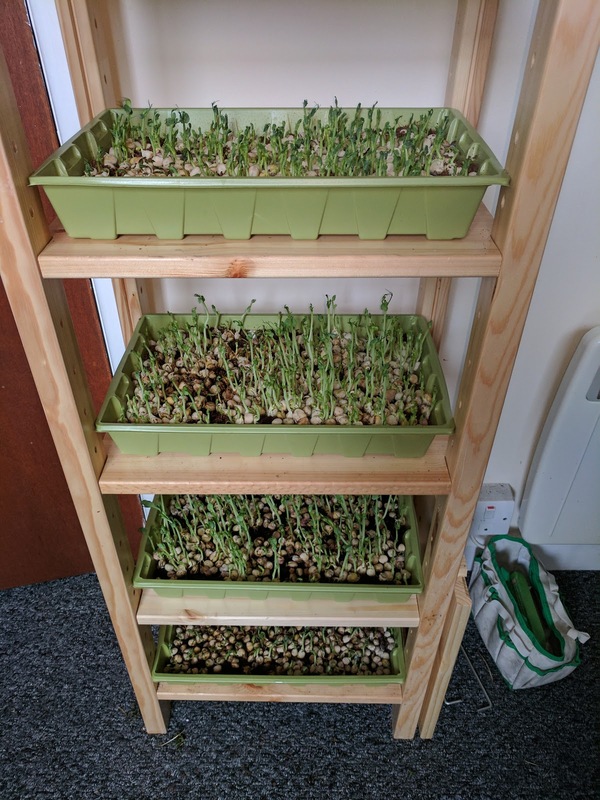 I fully intend now to expand my shelving units piece by piece to explore how much more edible food and can grow in my small living space. On to my tray of "rambo radishes", which after only 6 days, are ready to eat. They have a slightly bitter taste, but I've been snacking on them all morning and very nice they are too. 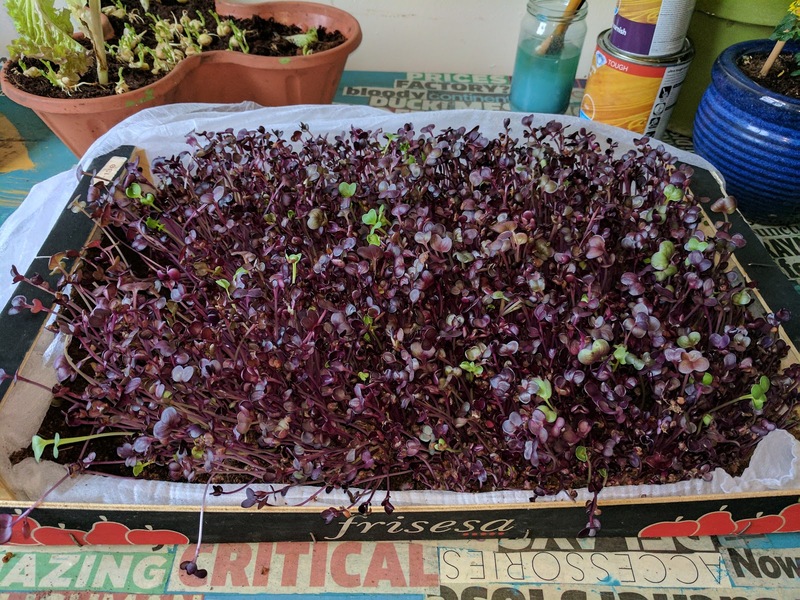 The taste combines very well with the sweetness of pea shoots, so together could make the basis of future salads. Not to mention soups. Oh, and remember the mung beans from last week? 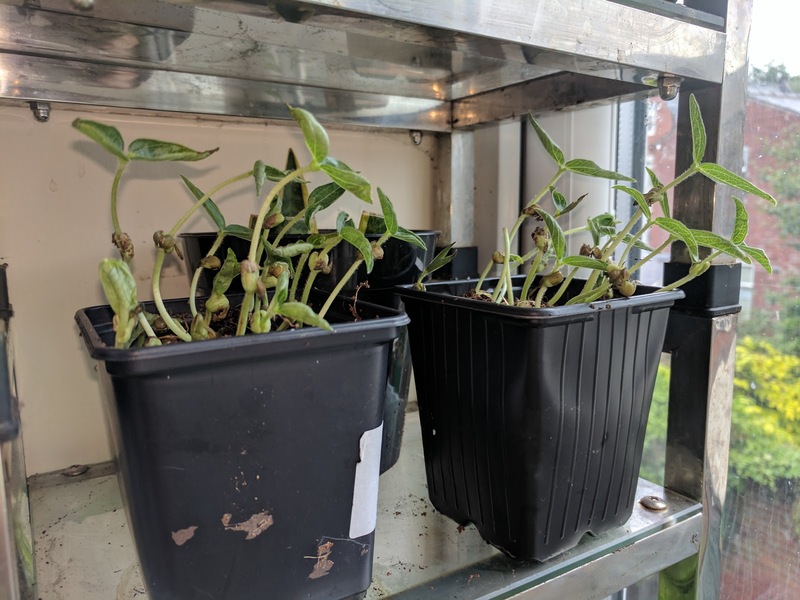 Well, I salvaged what I could of them and replanted the shoots that were free of mould. They've made their own mark in the kitchen. This is good.